Patricia Zavella, UC Santa Cruz professor of Latin American and Latino studies, has been named winner of the 2016 American Anthropological Association’s Committee on Gender Equity in Anthropology Award. The awards committee said Zavella’s career accomplishments advancing the status of women, and especially Latina and Chicana women have been exceptional. Her scholarship, teaching, advocacy, and mentorship have made critical contributions to understanding how gender, race, nation, and class intersect in specific contexts, the committee’s chair wrote in notifying Zavella of the award last week. The award will be presented at the American Anthropological Association’s 115th annual meeting in Minneapolis in November. Zavella joined UC Santa Cruz in 1984 and served as chair of the Latin America and Latino studies department from 2007-2011 and again from 2014 until June 30, 2016. 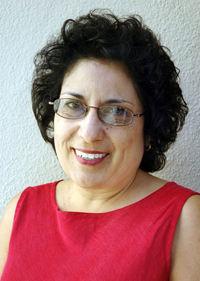 She also previously served as director of the Chicano/Latino Research Center. She was a co-winner of the 2010 Prize for Distinguished Achievement in the Critical Study of North America given by the Society for the Anthropology of North America. In 2008, her UCSC colleagues chose her to deliver the Faculty Research Lecture. She received her undergraduate degree from Pitzer College, and her masters and Ph.D. from UC Berkeley. She had a postdoctoral fellowship at Stanford's Center for Chicano Research before joining the UCSC faculty.